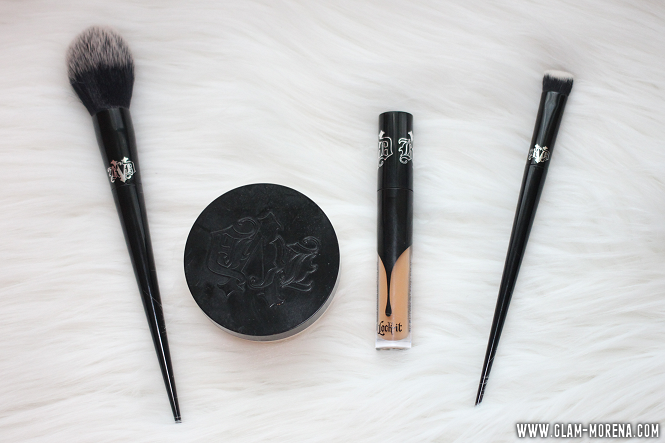 Glam Morena: Demo: Kat Von D Lock-it Concealer, Setting Powder, & Brushes. 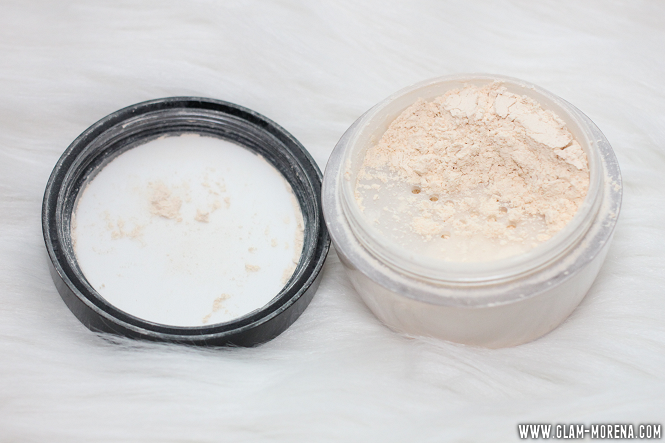 Demo: Kat Von D Lock-it Concealer, Setting Powder, & Brushes. Last month I was one of the lucky people chosen to receive the Kat Von D VoxBox from Influenster. You can check out that post here. I received the Kat Von D Lock-It Concealer Creme, Setting Powder, Setting Powder Brush, and Edge Concealer Brush. 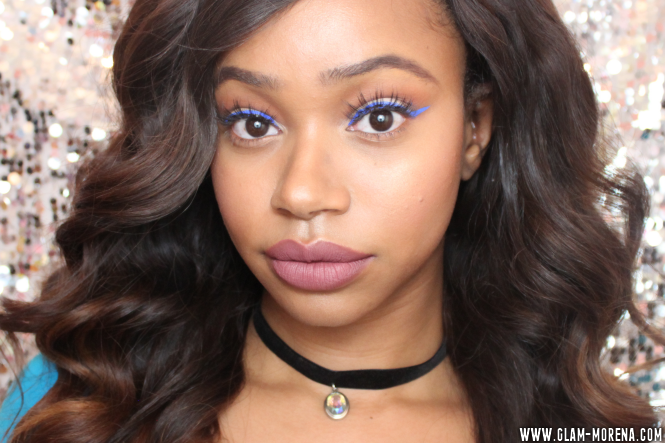 Since these products are fairly new I wanted to share a demo of me using them in a tutorial. Be sure to watch the video for a tutorial using the Kat Von D Lock-It products and live results! Description: A weightless translucent loose powder, formulated with Micro-Blurring Technology™, to set and perfect for a flawless, locked-in finish. 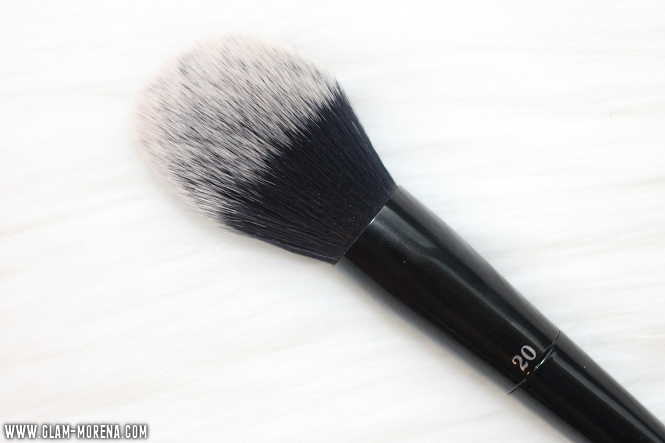 Description: An ultimate loose powder brush for setting and perfecting the entire face. 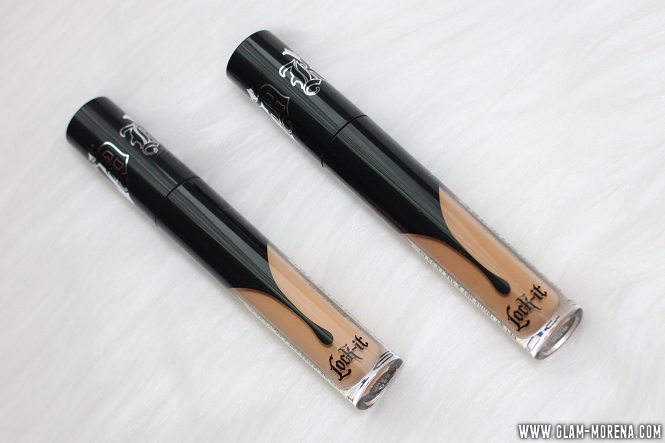 Description: A super-versatile, rich and creamy concealer with 24-hour wear and instant full coverage. 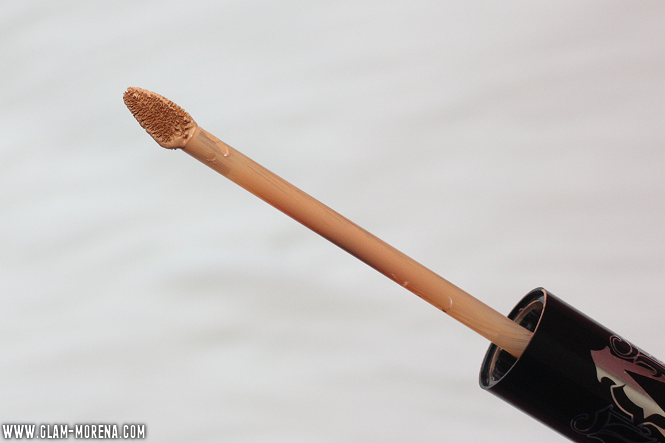 Here is a closer look at the applicator wand. 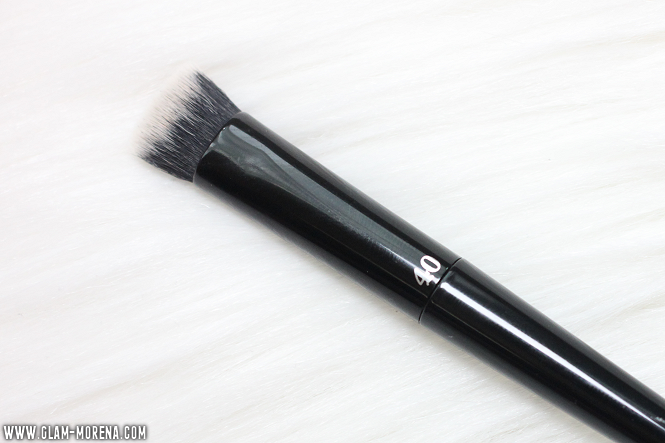 "The artistry applicator was modeled after an artist's paintbrush, with a tapered tip for precise corners and a wide base to efficiently coat larger areas. " Description: A high-performance concealer brush with an exclusive sculpted shape to seamlessly blend under eye concealer and instantly cover blemishes. 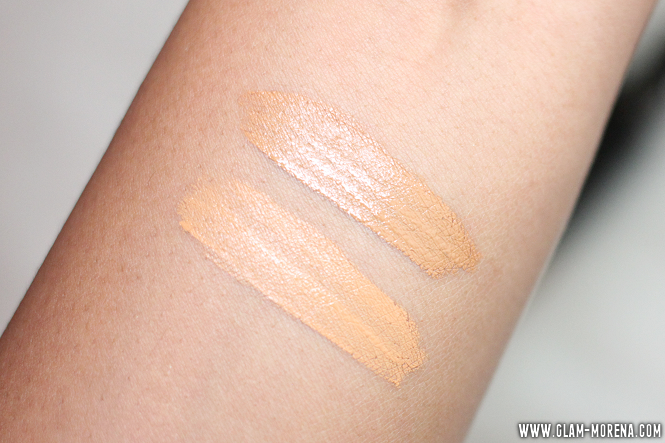 Swatches of the Kat Von D Lock-It Concealer Crème in Deep 31 and Deep 33. 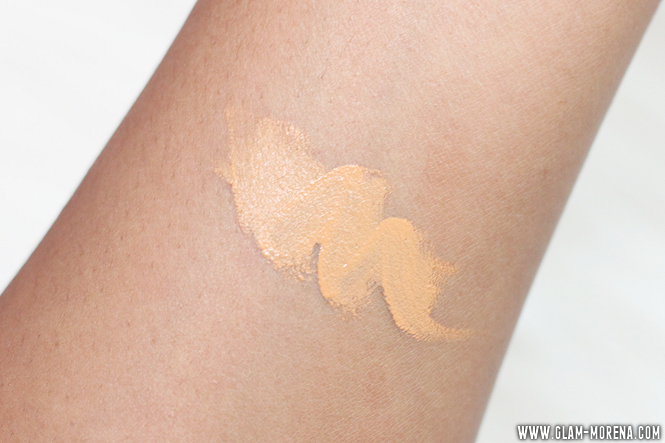 My perfect match is the shade Deep 31. Final results after using all the Kat Von D Lock-It products above. I absolutely love the finish and application of everything!